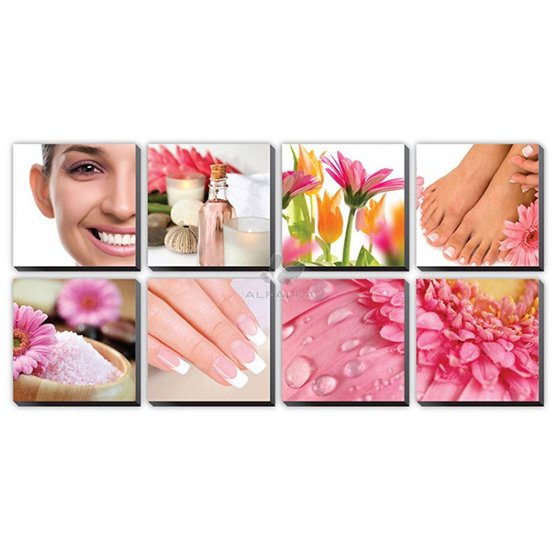 Enhance your salon with these beautiful stretch canvas murals. 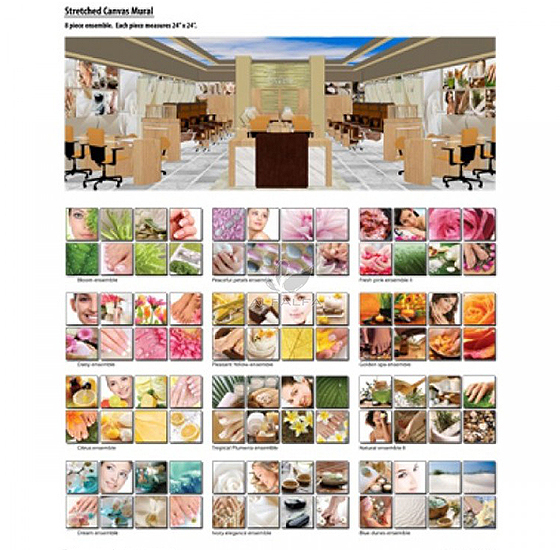 Each set comes as an 8 piece ensemble. 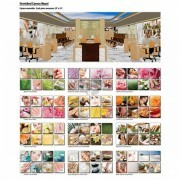 Choose your mood, choose your style, choose the set tat fits your salon best. Each piece measures 24″x 24″. Use them together as a group, or separate.